Liverpool: James Milner was made for nights like Tuesday when Liverpool eased to a 2-0 first-leg advantage in their Champions League clash against Porto — and Jurgen Klopp seems to realise it. Even at 33 the midfielder’s desire and enthusiasm epitomise what Klopp wants to see in his players and Andy Robertson’s suspension probably saved the manager some agonising about whether to play the veteran in midfield. 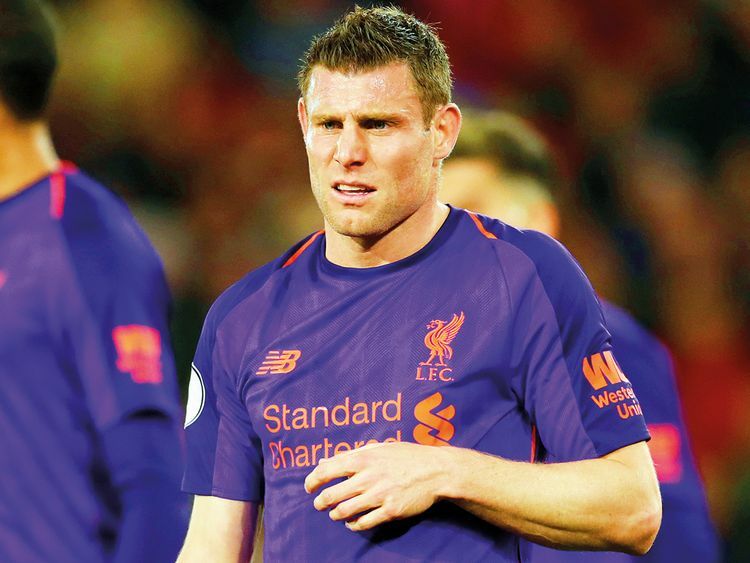 Milner was straight in at left-back, despite having reverted to a role further up this season, and a measure of Klopp’s confidence was that Alberto Moreno did not even make the substitute’s bench as insurance cover. No matter that Jesus Corona and Otavio are considered a tricky attacking combination on the right flank, Klopp put his trust in a blend of Liverpool’s upfield pressing and his feistiest competitor further back. It seemed to work well enough. Milner comes with attitude and experience and showed the latter on Porto’s first attack when he drifted intelligently in from the wing to intercept an Alex Telles cross from the left that would otherwise have found the Liverpool penalty area unmanned. It was a few minutes after that that Milner casually set up the opening goal, ostensibly appearing in the centre circle to tidy up a loose ball that had eluded Fabinho but effectively turning a nothing situation into a dangerous attack with a drilled first-time pass. Almost without glancing up Milner picked out Sadio Mane in space on the left and from there Porto were always struggling to get back in time. When Porto threatened from a dummy free-kick routine that almost caught out the Liverpool defence as the ball was played out to the right rather than into the area, once again Milner’s assurance helped out the defence. Despite receiving the ball under pressure he managed to hold on to it and keep opponents at bay until Virgil van Dijk arrived to offer a safe out ball. If this was not quite the emphatic statement Liverpool have come to expect on home European nights it should not be forgotten that the best performance in the last round was the one away from home after a goalless draw and that they stand on the verge of a second successive appearance in the Champions League last four. That is not to mention the small matter of Chelsea on Sunday and a resumption of the title race with Manchester City, because Klopp would actually prefer it that way. Only time will tell whether Liverpool can keep that up until the end of the season, but he has filled his team with players like Milner who do not appear to see any reason why they cannot.